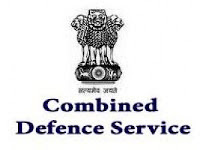 Combined Defence Service Exam (CDS) was conducted on 17th February 2013 by UPSC. The exam consisted of three sections: English, General Knowledge and Elementary maths (not for OTA). English questions were of good standard. A person with sound knowledge in english could easily answer the questions. Those studied in CBSE/ICSE could find it easier. But still some questions were confusing and may feel that more than once answer is correct. 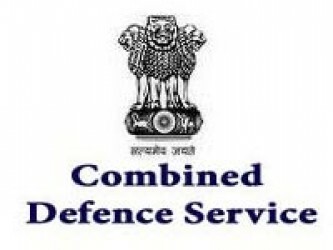 But as UPSC mentioned in the instructions, the candidates were expected to take the best answer of them. Reading the question and probable answer more than once could guide to the answers. An average student with basic english knowledge could attend more than 85 questions from english part. The General Knowledge part was quite tougher. A person who reads news paper daily could answer a good number of questions. There were number of questions from current affairs especially from the year 2012. There was around 10 questions from history. General Science questions were of average standard. Overall, a student who prepared well could answer good number of questions from this part. Coming to the Elementary Maths portion, majority of questions were of elementary school standard as the subject name says. But still some portions needed further references. A person who studied for bank test, other psc exams, or civil service exam could answer majority of the questions. But as usual time was a constrain. Anyways all the best for all who attended the exam. Even if you don't get through, the exam gave a good experience and exposure to all who wrote it.